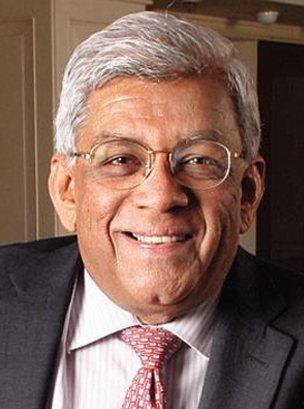 Deepak Parekh is the Chairman of Housing Development Housing Development Finance Corporation (HDFC). He has won several awards including Businessman of the Year 1996 from Business India. Padma Bhushan was conferred on him by the Government of India. Mr. Parekh is the youngest recipient of the prestigious Corporate Award for Life Time Achievement by the Economic Times. In 2010 he was the first international recipient of The Institute of Chartered Accountants in England and Wales’ Outstanding Achievement Award, for his contribution to the finance and accountancy profession.